​​Take it in turns to make up a silly story together, one sentence at a time. You could 'draw' numbers, letters, shapes or pictures on your child's hand or back with your finger. Then they could guess what you're drawing or they could do it on your back or hand for you to guess. The old favourite travel game for kids, 'I spy with my little eye, something beginning with...' can pass loads of time. 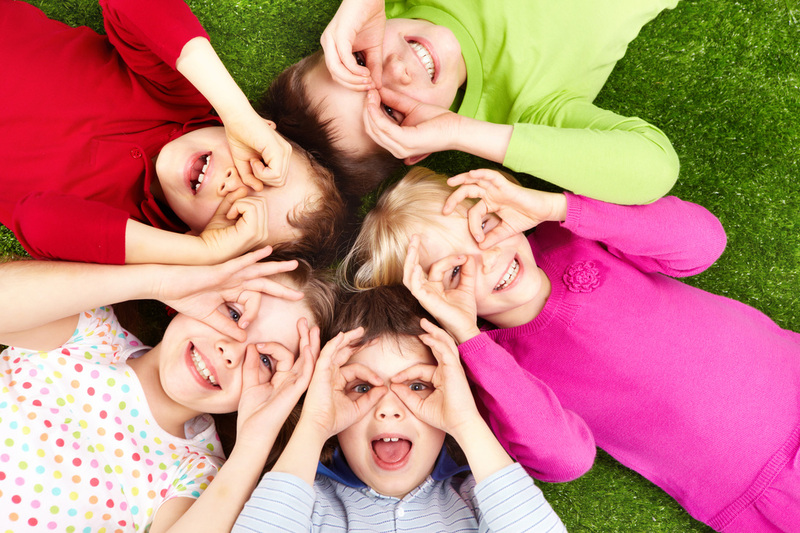 You may like to play colour eye spy with preschoolers. Pictionary (a travel and child friendly version) is where a player basically tries to guess what someone else is drawing as quickly as possible. A small white board and dry wipe pen or those sketch boards with a stick that can be swiped clean would save loads of paper. Each of you choose a colour and count how many cars of that colour you see within a 1-5 minute time frame. Sing anything and everything you all know and love. Or take it in turns to do solos. 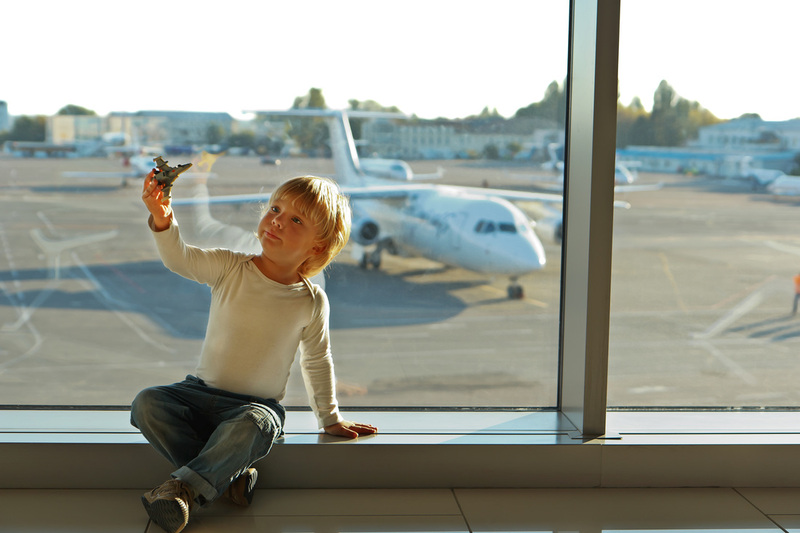 Whenever travelling with young children pack a special little bag full of toys and travel activities for kids. Or you could keep one in your car for the doctor's, restaurants and when you visit family or friends in hospital or those who don't have children. If you're packing one (or one for each child) for a long journey, wrapping each item would make it extra special. Plain notepad and coloured pencils or those special paper and pens which only mark the paper. Airline meal trays are handy for playdough. Small dolls, figures and vehicles that interest your child. Travel sized board games are great for older children. Stickers to create 'scenes' or just stick on their notepad and clothes. ​ These games can be played anywhere, not just while passing the time traveling but also while waiting in line at an amusement park or waiting for dinner at a restaurant. This game is perfect for families who travel a lot. One person begins her statement with "Where were we when ... (and then fill in a past event such as:) daddy ate three hot dogs in a row?" And give everyone turns trying to answer. "Movie World" or "the zoo" until someone remembers correctly. The next person then goes, "Where were we when ... we found a whole sand dollar?" This game is great for memory and helps relive fun times you had on other holidays to the beach, the mountains, or even the grandparents' house. This game is popular with grade school kids. First think of a category, such as foods, people's names, things I want for my birthday, etc. Then have a player answer something that belongs in the chosen category for the letter A. The next player gets letter B, and so on. So, for example, if the category is "places we've been," the first person might say "America," while the second person can say, "beach" and the third person can say "circus" and so forth. This is a story-telling game. One person starts a story however he wishes. For example, "A little boy named Brock wanted to go swimming," and then the next person takes over, "Fortunately, there was a pond right behind his house," and then another person takes over, "Unfortunately, it was filled with crocodiles." "Fortunately, the crocodiles were tame and liked to play with Brock." "Unfortunately, the game they liked to play was tag ... with their teeth...." The stories can go on as long as you wish! This game is a classic where you pick a topic that can include many things, such as places or animals or famous people, etc, and then each person has to name something that begins with the last letter of the item before. For example, if someone says Perth, then next one has to start with a H, such as Hobart, and the next one has to start with an T, such as Tamworth, then an H, and so on. Kids love this silly game. One person starts with any item, such as "my shoe." The next person says what that makes them think of, such as, "bad smells," and then the next person says what bad smells make them think of.